Another topic reminded me about her.. She used to be my absolute favorite ship until the stupid Sharn and Genny came around. LIke T7 BB needed heavy cruisers with torps. Thanks WG for ruining the best ship in the game. 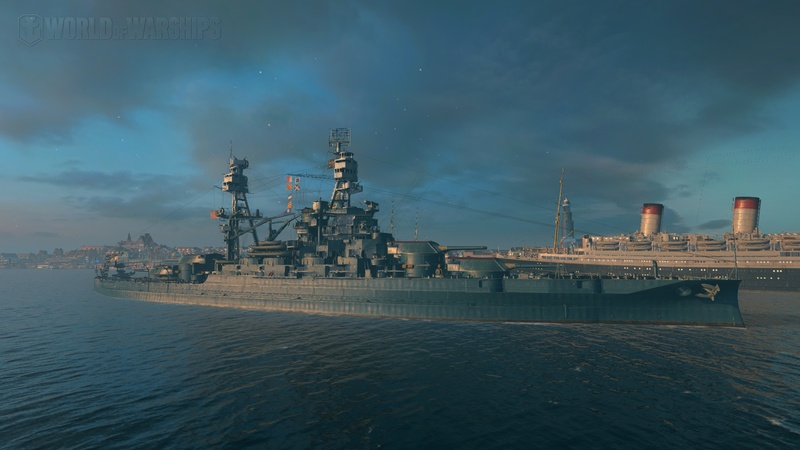 Texas used to run the seas.. with her 5 turrets of freedom and her "Budweiser" camo... We didn't worry about MM. Texas at 5 versus Nagato at 7 was a great match up. A straight duel between, arguably, the best range sniper in the game and a Rocky Balboa "slugger" close fighter. Neither wanted to give the other the advantage. The Tex had to get close. The Nag had to snipe. If either got the upper hand it was over. Tier didn't matter. Then came the Shat botes. Snipers with torps. Oh yay for you. Tex can't range fight you..and can't close on you. You effectively removed her from the game. My girl.. God I love her. 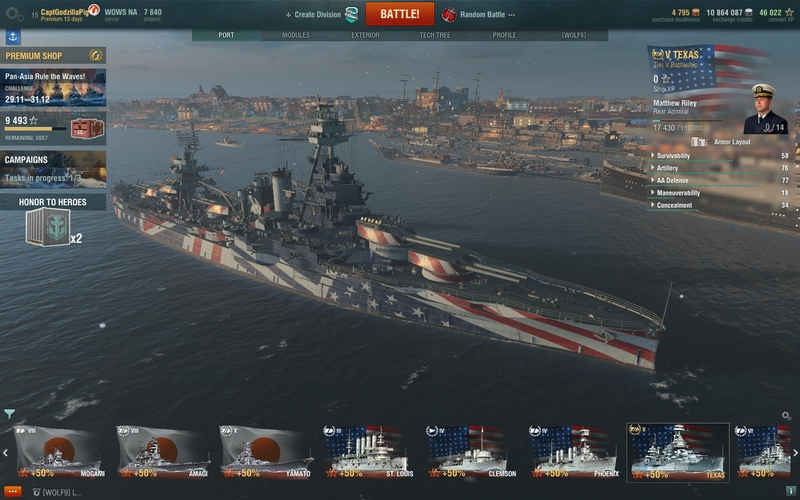 5 turrets of freedom ready to rock and that glorious 'Murica camo. I saw the word "Gorgeous" and immediately thought of Dasha but this paint works too. I was assuming that it was some new ship someone bought. But yeah, Dasha's certainly rocking that blue winter outfit in the new update video. Must be some sort of ethnic Russian style. ... But that's just one grumpy cat's opinion. I think we here can all agree that the American Dreadnoughts(aka Wyoming through the Standards) had a certain elegance to them which we all like.